HSD™ 201 Systems | Senkox Technologies Inc. The Senkox HSD™ 201 Hot Spot Detection System is a project-specific temperature monitoring and alarm solution. The system is designed according to customer requirements. The system networks all the monitoring sensors such as Senkox Linear Heat Sensors, camera sensors, smoke sensors, pressure sensors and other monitoring devices from different field. It also provide flexible subsystem interface for to extending sensors. All the sensors and subsystems are connected into one central control station. 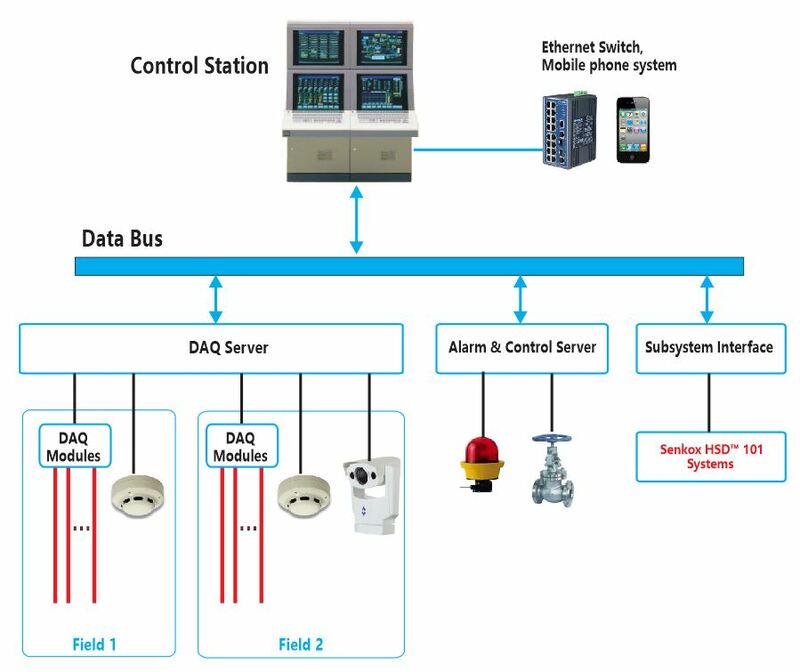 The system provides alarms and automatic controls according to the project requirement, such as switches and valves etc. Detect real-time temperature of the hot spot. Detect the position, size of the hot spot, rate of temperature change as well as over heat temperature difference. Diagram of temperature vs time in each linear heat sensor. Users may set up the alarm points with critical temperature. The system stores the history data of each sensor and users may query the temperature diagram and alarm records. The system provides sound and light alarms in field place, and the alarm information can be noticed by email or sent to mobile phone system. The system provides automatic emergency actions at alarm, such as shut down valves or turn on devices. The monitoring system can be connected to multiple terminals through Ethernet, serial cable. The system is easy to maintain and flexible to add additional sensor lines or other monitoring sub-systems.